Social Media Matters: Will Facebook sue Zuckerberg? Facebook is threatening to sue Mark Zuckerberg, which is kind of like Heaven launching a class-action lawsuit against Jesus, isn’t it? But wait, there’s a twist. The Mark Zuckerberg under threat of a lawsuit is not the same Mark Zuckerberg who founded Facebook. The Zuckerberg being sued was originally named Rotem Guez and legally changed his name to mimic that of Facebook’s Mark Zuckerberg, apparently for revenge. As originally reported Dec. 16 on Mashable in an article written by Zoe Fox, Guez’s profile was deleted by Facebook back in January, eliciting a lawsuit by Guez and then prompted him to legally change his name to Mark Zuckerberg and even legally obtain the rights to the website MarkZuckerbergOfficial.com. My guess is that he’ll call it quits when his legal bills become unmanageable. Facebook can keep this guy in court until the second coming. I’m a bit surprised that they’re leaving his new Facebook profile up. They’re likely waiting for him to hang himself (legally) and are biding their time until he says the wrong thing. One wrong “LOL” and Zuckerberg Nouveau will find his Facebook profile gone in a flash. 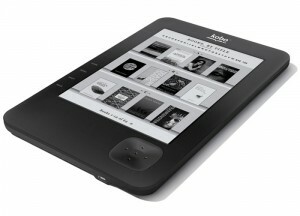 Want an e-book reader for Christmas? Be sure to do your research, especially if you live in Canada. The two biggies – the Kindle and the Kobo – are the most popular, but the Kobo in Canada has access to more titles, making it perhaps the better choice. But then again, there are also Kindle and Kobo apps for the iPad – giving you the best of both worlds and the mega-popular iPad at the same time. Before making your final choice, ask friends what they’ve done. They’ll give you the real pros and cons. Ask around before investing. Real experiences by friends and trusted colleagues should factor into your decision. Each week, I offer three suggested YouTube channels for you to check out. Statistics are current as of Dec. 18. Here’s wishing all Social Media Matters readers a very Merry Christmas! May you spend a wonderful holiday among family and friends. Use social media wisely this Christmas. Use Skype or another similar service to connect with those far away, but remember to spend time with those nearby in person, too! One Response to Social Media Matters: Will Facebook sue Zuckerberg? Just got around to reading this one now! Great stuff! Very informative and interesting! Telling you man, you need to syndicate this column! I read a lot of International media mostly, and rarely read about social media, although it’s a revolutionary phenomena! Just saying!